Taking software piracy seriously isn’t everyone’s first priority these days, to say the least. Computer users like to get applications on the cheap or for free. As understandable as it is, this quirk may lead them into a trap. The secoh-qad.exe malware issue demonstrates how dangerous it can be to activate Windows products while bypassing the official license registration. What is the secoh-qad.exe (KMSpico) virus? The software landscape isn’t necessarily a black-and-white thing, because it may be hard to distinguish benign from outright malicious code. Of course there are malware outbreaks that leave no room for such an ambiguity, as is the case with ransomware that’s clearly harmful no matter what. Contrary to that, the secoh-qad.exe sample has got some categorization nuances that make it problematic to flag the entity dangerous while complicating the univocal labeling of it as harmless. This is an executable used by KMSpico, a component of the known-malicious MS Toolkit solution whose objective is to activate Windows operating system and other proprietary products by Microsoft without purchasing the license. The KMS part is an acronym for Key Management System. Whereas, obviously, such a service per se cannot be considered legit, the issue might be more serious than using pirated software. One facet of the secoh-qad.exe (or secoh-qad.dll) problem has to do with antivirus tools reporting it as Trojan.Proxy or PUP (potentially unwanted program). The specific denomination depends on the antimalware vendor and the virus signatures they use. At some point last year, multiple security suites, including Windows Defender, started giving users a heads-up on this entity, although it used to fly below their radar. The common tactic adopted by those who opted for the KMSpico utility is to add the secoh-qad.exe process to the exceptions list, doing which is supposed to prevent detection. However, even with the appropriate exception in place, some AV solutions have begun alerting users on the binary, adding it to quarantine and blocking it altogether. This is the most plausible concern regarding the process under scrutiny. Meanwhile, it is pretty much the best-case scenario that may only entail the need for official license registration when using intellectual property by the above-mentioned software giant. The issue may assume more disconcerting characteristics, though. The darkest side of the secoh-qad.exe object echoes back to cybercrime at its worst. 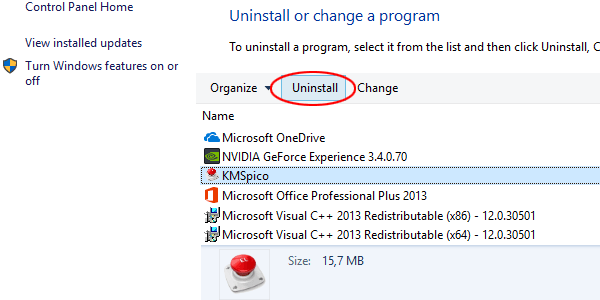 The thing is, malware distributors may take advantage of the hype around KMSpico activator to deposit their deleterious code onto computers. The icon and process name of this solution can be used to camouflage viruses. Therefore, the users who adore freebies and are reluctant to pay for activation of legit programs may look up the term on the Internet and stumble upon a malicious website with a booby-trapped copy of the tool. Another possible peril is all about application bundles, where troublemaking items can tailgate into a PC as part of an install suite for what appears to be KMSpico alone. The “company” can be anything from banking Trojans to stealth cryptocurrency miners that will siphon off the host’s CPU resources and slow it down to a crawl. 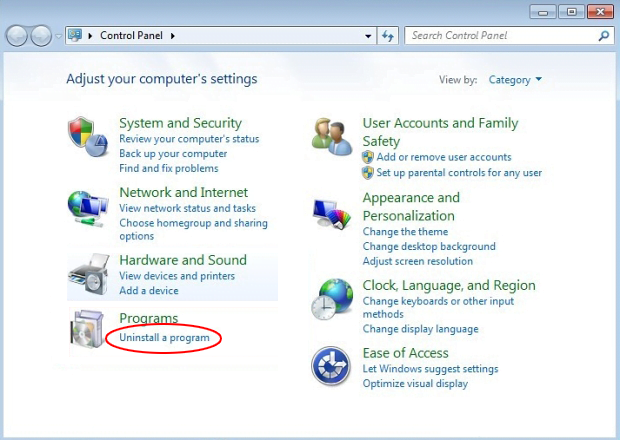 In case the secoh-qad.exe and secoh-qad.dll files, which constitute the KMSpico crack tool, are causing your computer to act up or turn out to be a virus in disguise, the following steps will facilitate the troubleshooting process. In summary, it’s worth point out that there is no such thing a free lunch, so users can get a major headache when engaging in foul play with OS or app activation. The extermination of the secoh-qad.exe malware can be efficiently accomplished with reliable security software. Sticking to the automatic cleanup technique ensures that all components of the infection get thoroughly wiped out from your system.